20 years ago this month, we were deep into the Peruvian Amazon and all of its glorious beauty. There, we found amazing, kind and strong people, eager to learn and thrive. They lived in isolated remote communities that were reachable only by boat, in rustic houses whose only source of energy was the sun and the only source of information was an occasional radio. They traveled long hours by boat or by foot to get to work. Their children often were not able to attend school because of the long distance. The communities were also often exposed to several health conditions and diseases such as acute diarrhea, malaria, yellow fever and HIV/AIDS. We also unfortunately found thousands of women exposed to violence in their homes, without the strength or support needed to defend themselves. On February 18, 1998, we dreamed of reversing the isolation problem, providing key health information, and stopping domestic violence in these amazing communities. We named our dream “Minga Peru”. We never imagined that 20 years later, our dream would come true. Our first step was to find a way to get the communities much needed information. In the dense Peruvian Amazon where people had no TV, no phone, no computer nor access to internet, radio seemed our only option. On April 01, 1998, we broadcast our first radio episode of “Bienvenida Salud” (“Welcome Health”) — addressing a key health issue that was devastating the communities: malaria. On June 23, 1998, we received our first “listener letter” – a radio program listener had sent a letter to our office (that traveled many days by boat) requesting more information. From that day forward, our radio episodes were all based on questions and issues raised in listener letters. One topic that appeared frequently early on in the letters was domestic violence. As our first radio program on domestic violence was broadcast, the program was so powerful that some men in the communities were later seen smashing their radios – their only communication tool – in their town squares. We never imagined that 20 years later, we would have received more than 40,000 letters written from listeners of all ages and genders on many different topics (all handwritten and many told with drawings). We also never imagined that men would stop smashing their radios and instead actually look forward to listening to all of the programs with their wives and children (including these addressing domestic violence). 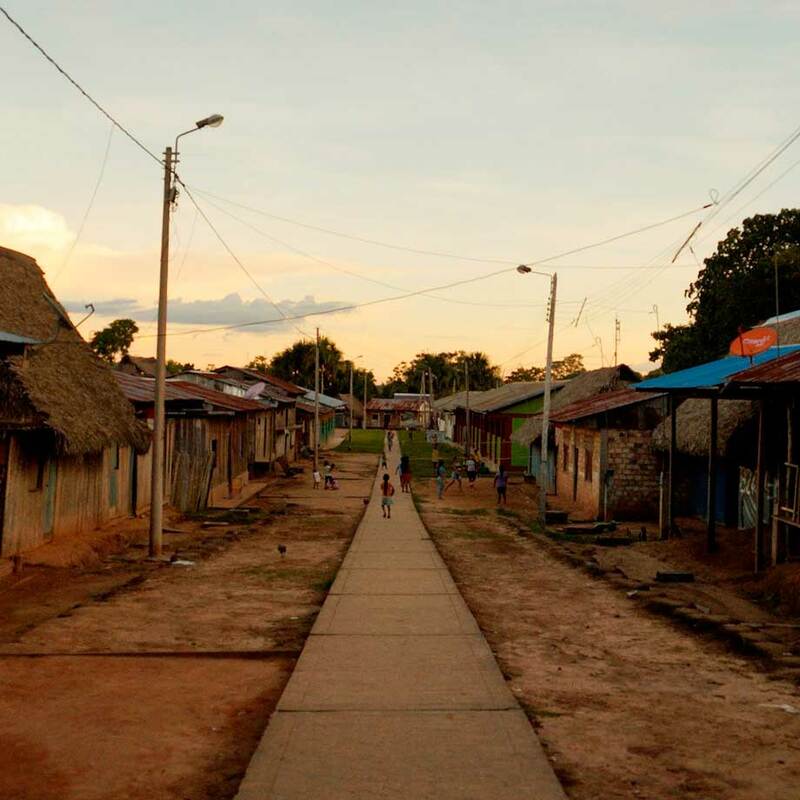 Nor did we imagine that 20 years later, “Bienvenida Salud” would reach more than 120,000 people in the Peruvian Amazon! 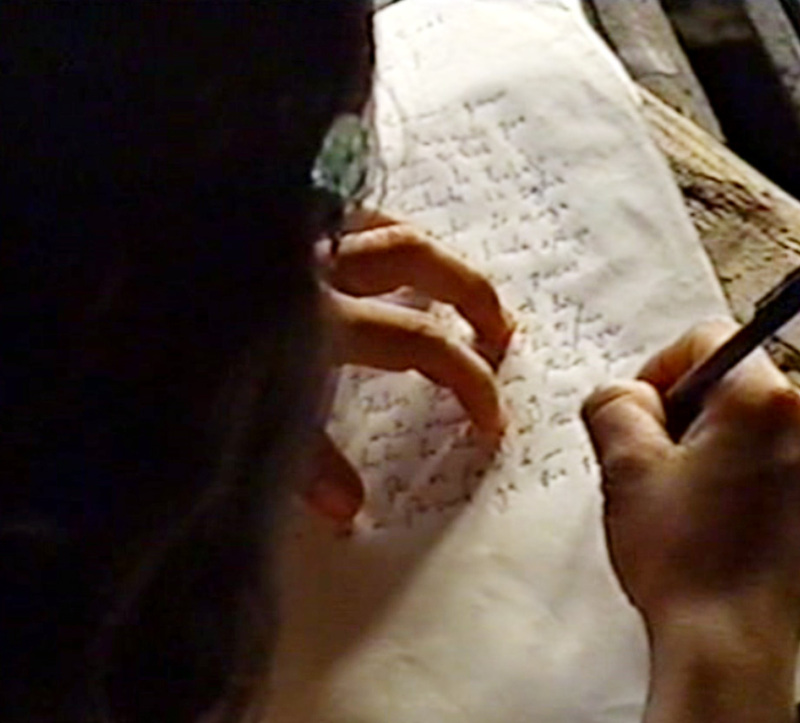 As the listener letters kept arriving, we noticed a common occurrence —most of the letters came from women who found in a piece of paper, a voice that could cross rivers to help other distant communities facing the same reality. These letters also contained a common theme – a desire to learn and change their lives. It quickly became apparent how helpful it could be to create a space where these women could share their experiences and receive empowerment training and more information about many different topics. And so, with the support from municipal entities in Loreto, we created the Minga’s Empowerment Workshops for Community Leaders (Promotoras Comunitarias). 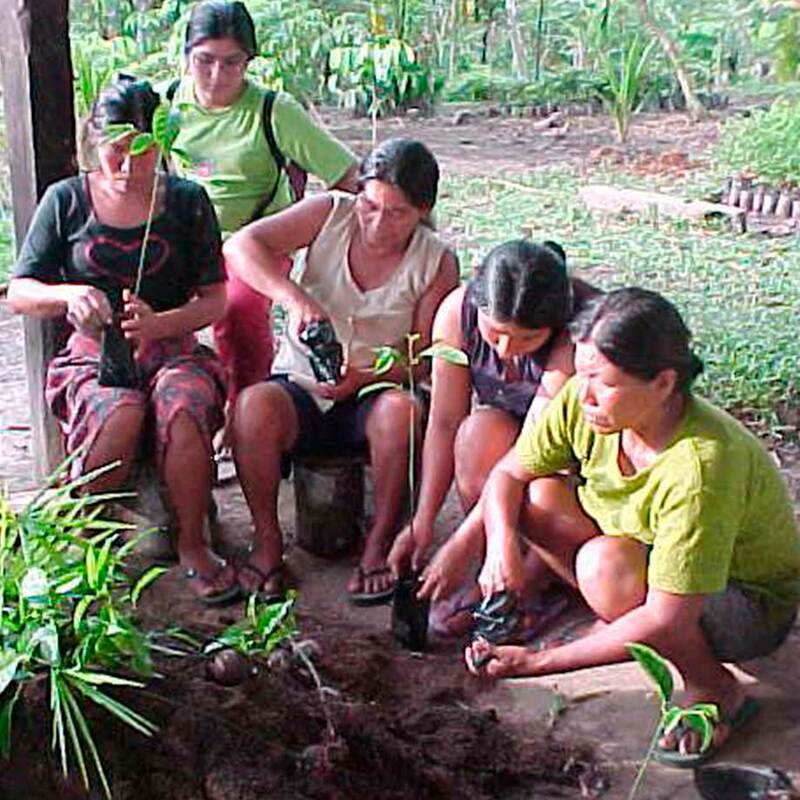 On March 06, 1999, we launched our first empowerment workshop in the Amazon city, Nauta. Attending the workshops, however, was not easy for the women. To attend the workshop, each woman first needed to get permission from her husband, find someone to take care of her children and even sell animals or ask to borrow money for her transportation. If she was able to accomplish all of this, she then had to travel for long hours and often days by boat to arrive at the workshop. Ultimately, 29 women from 12 communities attended the first workshop. There, for the first time, they learned about self-esteem. They learned that they were able to take command of their lives and change them for good. Throughout that first workshop, we slowly started to see the perspective change in the women’s eyes. At the beginning, their eyes displayed resignation (“I guess this is just how it is and will always be . . .”). As the workshop progressed, their eyes changed to display a look of possibility (”Maybe I can create a different life for myself and others?”) and by the end of the workshop their eyes displayed a sparkle of excitement about their new reality (”I am a new, stronger person and will create a new life for myself and others!”). After the workshop, we noticed much more than just the new sparkle in the women’s eyes – the women also stood up a bit taller, spoke with more confidence and looked directly into your eyes as they spoke. We knew there needed to be many more workshops. 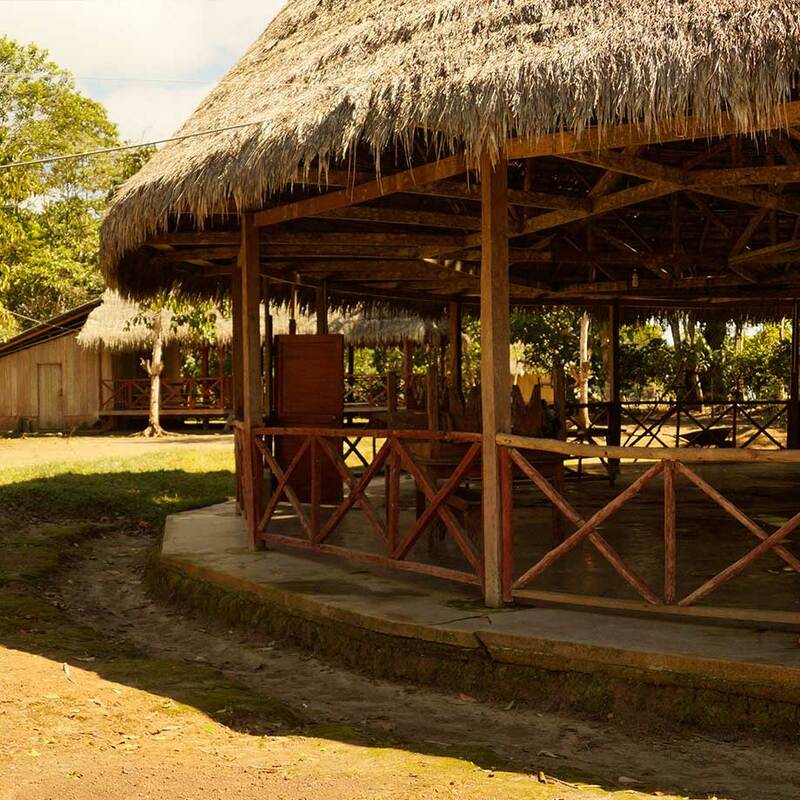 On March 12, 2001, we opened a permanent residential training center named “Tambo Minga” – located much deeper into the Amazon and much closer to the isolated communities – to make it easier for more women to attend the workshops. We never imagined that by 2018, our workshops would have trained and empowered more than 1,200 incredible women from 50 communities. As a result of these workshops, the women accomplished many things: from saving their lives by leaving their abusing husbands and finding a better home for them and for their children, to taking leadership roles at the municipal entities and presenting projects to improve the living conditions in their communities, to even getting a community center built in their community to provide a safe place for children while their parents were at work and for women to receive domestic violence training. After our first year doing these workshops, the women also started asking about how they could generate income and secure sustainability for their families and communities. They also expressed an interest in conserving their Amazon’s beloved natural resources. So, we also began creating “Income Generating and Natural Resources Management” projects. With these projects, women and families learned to create small forest farms and fish ponds using natural resources in a sustainable way. They then used what they produced (fruits, vegetables, wood, fish) to consume or sell to buy much-needed items for their families such as medicine and school supplies. Today, more than 250 families are earning income from their eco-friendly projects. Hearing about Minga’s transformative work and excited to share it with their guests, National Geographic/Lindblad Expeditions decided to incorporate regular stops in several of the communities Minga serves. On June 26, 2013, the first boat arrived in the San Francisco community to an incredibly awe-struck but very proud community. You see, for several years the San Francisco residents (like many of the residents of similar river-side communities) had watched similar boats pass their community full of lights, music and sounds of excitement. They often wondered who was traveling and what was happening on those boats. Never did the residents dream that any of those boats would be interested in stopping in their community to learn about their lives or work. More importantly, never did the women in those communities imagine that they (not the men) would be the ones confidently making the presentations to the guests. In 2018, forty-five National Geographic/Lindblad Expedition boats will stop in these communities to connect with the women and learn about their lives and work. Finally and most recently, after witnessing the dramatic social change occurring in the Amazon (improved gender equity, decreased domestic violence, improved health, increased civic participation, increased economic security, decreased teen pregnancy, etc. 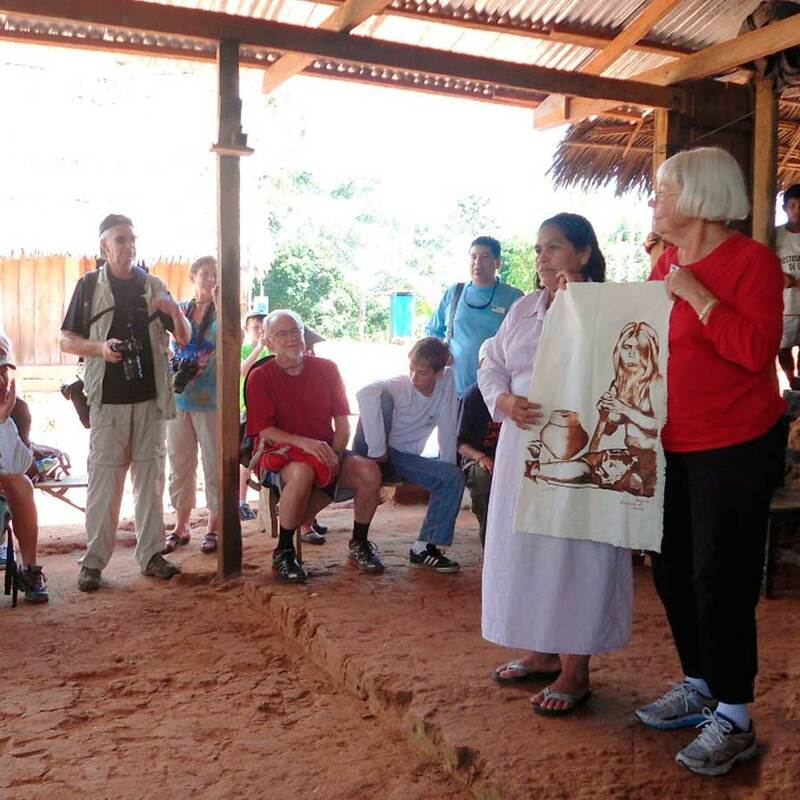 ), we wanted to share what we learned from our Amazon work to help strengthen other grassroots organizations throughout Latin America and the Caribbean. So, we created “FICE” a strategic communications training program for other grassroots organizations. From 2014-2016, with the support of the Inter-American Foundation, we ran our first FICE training pilot program for 26 organizations from the Dominican Republic and Peru with great success. Since its creation, FICE has been used to strengthen more than 109 grassroots organizations and networks in 8 countries. 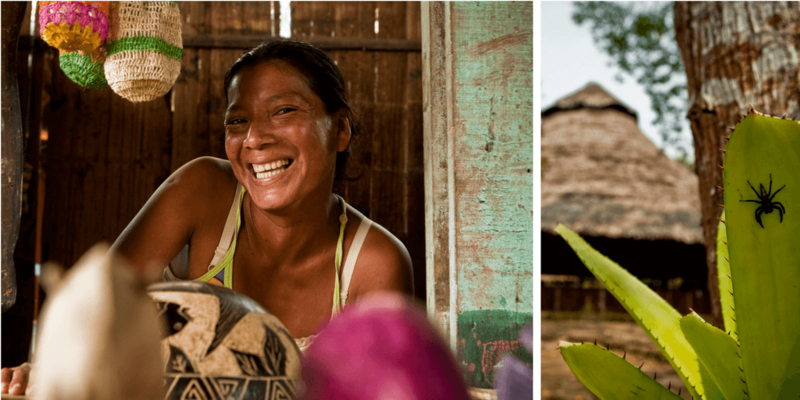 20 years ago we never dreamed that what we learned from our work in the isolated Amazon communities would be used to create such amazing social change throughout Latin America and the Caribbean. 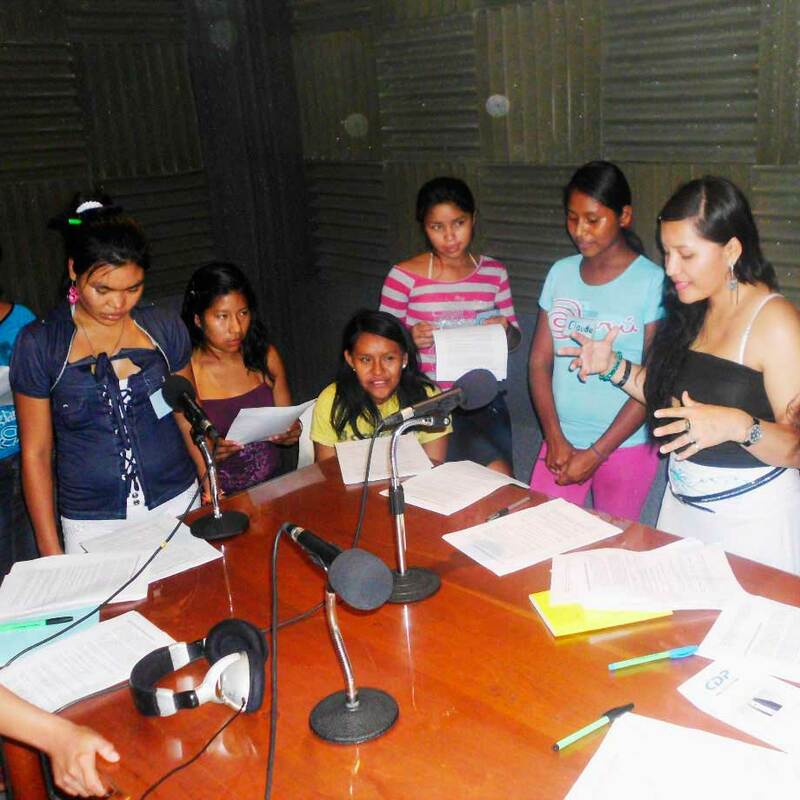 Now, as we look back on our “Minga Peru” dream from 20 years ago and we think about every letter received, every radio program broadcast, every “Tambo Minga” workshop, and every visit to the Amazonian communities – we are incredibly thankful. We are thankful most importantly to all the incredible women community leaders who have always been and continue to be our inspiration. Time and again facing great difficulties, we witnessed your strength, courage and wisdom create so many positive changes in your communities. We are also thankful to our many volunteers, donors, experts, organizations and other supporters for without you these past 20 years would have been impossible. You too can celebrate our work too, by supporting Minga and making a donation today.